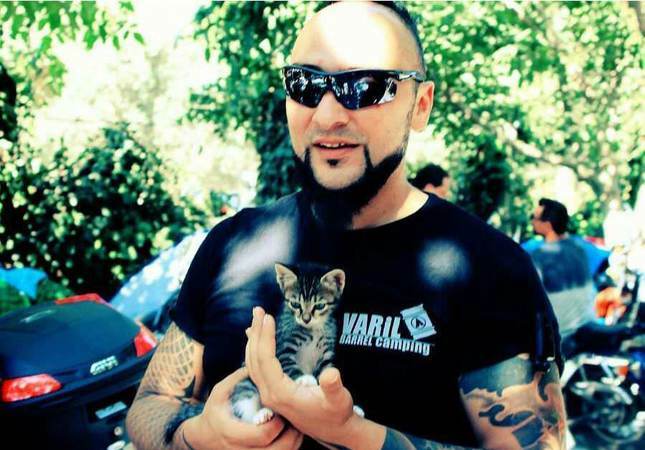 Barrel Camp, aka Varil Camp, which opened in August of last year, is one of famous metal musician Hayko Cepkin's latest projects. Created with his hands-on precision, being a self-described "control freak," this an impressive holiday resort set in the rolling hills and woodlands of Izmir's historical Selçuk district. 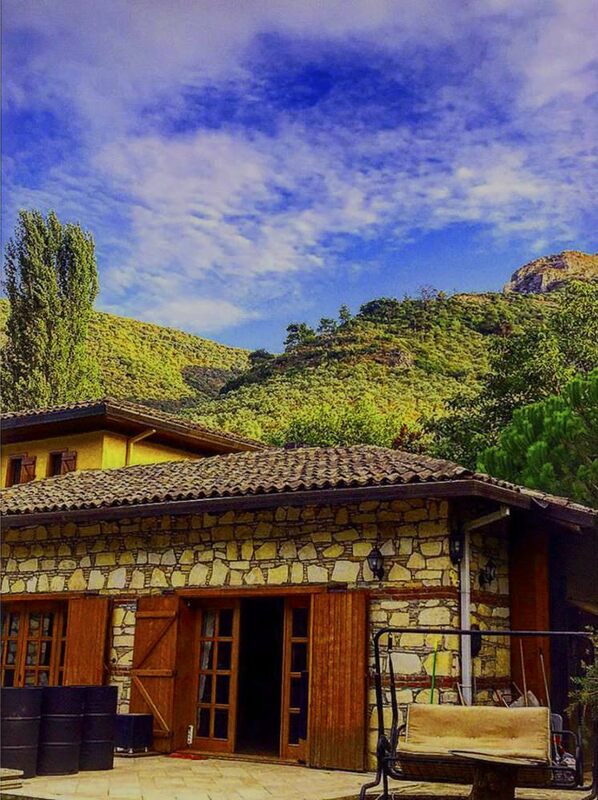 Located just a few kilometers in on the original Selçuk-Şirince road, Varil Camp is the perfect place to make your base to check out one of the most significant historical sites in the world, Ephesus and the House of the Virgin Mary as well as to discover the charming village of Şirince. Selçuk also neighbors the holiday resort town of Kuşadası, which has a number of stunning beaches and outdoor sports options. Entering Varil Camp is like coming upon an oasis, set along a running creek in the woods, with bright green and white bungalows and relaxing wooden-pillowed furniture surrounding a beautiful stone building that houses their restaurant, bar, DJ and lounge area as well as their more luxurious suites. Set amongst trees is a fabricated sand beach, with an accompanying pool, geared towards beach volleyball and soccer. There is also a lowered open-air fussball stadium, which Hayko plays in a league in himself, and will also serve as an open-air cinema. An avid animal lover, Hayko has devoted a number of areas to his beautiful pets, which include numerous chickens, cats, dogs and even a donkey, his beloved Midas. 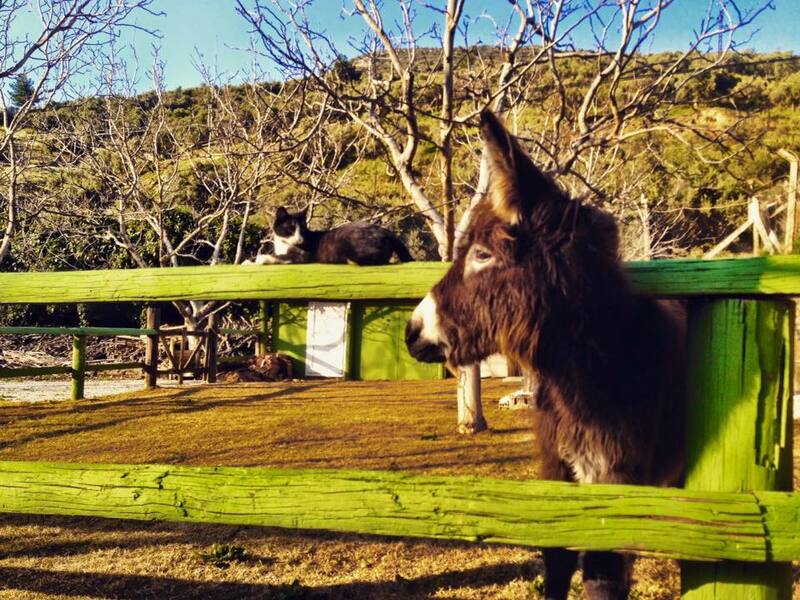 The other wonderful aspect of Varil is that they welcome visitors with their pets and have lots of relaxing chill-out spaces. Geared toward families, nature, music and outdoor sports lovers as well as the biker crew, as Hayko himself is also a motorcyclist, Varil Camp is a special place offering very comfortable accommodation at various pricing levels as well as the option to camp out in your own tent. Starting from the top notch, the luxurious suites, housed in the main stone building with access to a sauna and Jacuzzi and with a private terrace, cost upwards of TL 300 ($100) for the night. The more affordable en suite accommodation options are in impeccable and practical bungalows, with comfortable pallet-framed beds and cost less than TL 100 a head. For those seeking a budget option, but still want to stay in a bungalow, there are a number of double cabin rooms with shared facilities for TL 75, with all of the aforementioned including a buffet breakfast. The most affordable option is to bring your own tent and camp out on Varil's luscious green grass for just TL 35 plus an extra TL 15 if you want breakfast. The indoor restaurant decked out along a running creek will provide a full breakfast buffet and a la carte dinner menu. In addition, there is no set breakfast time so people can enjoy their holiday without having to adhere to any time constraints. However, this is not the type of place to bring your own barbeque or food from outside, it is a fully-equipped resort like set up where you could come and quite literally not step foot out of the place for days, which is what I did last week, where I had the chance to meet and speak with the legend himself and one of my own personal heroes Hayko Cepkin. As Turkey's resident rocker, but so much more, his music is a unique medley of brutal and eloquent vocals, Anatolian rock and heavy metal, but words simply do not suffice to describe this iconic musician, his genre, stage presence and performance prowess. He is truly one-of-a-kind and a rightfully highly respected artist. Therefore, his upcoming Varil Fest, taking place the weekend of May 20 to May 22, is the perfect opportunity to watch him perform while experiencing the ultimate 'start-to-summer' vacation. Although he plays concerts in cities all over Turkey throughout the year, Hayko moved his long-term residence to Kuşadası three years ago. Drawing ties in that we both live in Turkey's more rural region off the Aegean coast, Hayko said that for the very same reasons that I left Istanbul after a year, it took him 35 years, because he was of course born and grew up there. "Plus, I loved it there, I love the big city and Istanbul. In fact, the difficulties in living there are not Istanbul's fault, it is a fault of humanity. It is now unlivable, inaccessible, unproductive and no longer conducive to creating. That is what is most important," said Hayko. Saying that, being tired all the time ends up making everything you do feel like a chore, which is not like him at all, he tells me he got away from it all and set up his studio in his home in Kuşadası, where he happily recorded his last album, the top-selling "Beni Büyüten Şarkılar," an ode to his favorite songs throughout his childhood, given his own special take, released earlier this year. I asked him why he chose this specific region to make his permanent home, and he said, "I am a parachute jumper and received my training for it here, so I have been coming and going for the past five years. If someone wanted to move somewhere, where would they go? They would move to the next place they knew best and this was the area that I knew second best," said Hayko adding, "And the locals, villagers and everyone around here know me and I just thought it would be more comfortable. Plus, I get to see the sea from my home in Kuşadası and experience the forest here," a "combo" as he calls it. As for Varil Fest, a three-day festival vacation which will have Hayko Cepkin and his group performing as well as Necati ve Saykolar, an excellent Anatolian rock band from Denizli. As well as DJs The Warning Bros, a spinning duo of one of his own band members and the legendary DJ Nikki Wild, who Hayko refers to as the "epitome of glam rock' bringing on the beats. "Our festival mathematics is this: this is a holiday resort and one in which people can listen to live music. This will not be a morning to night music festival, instead, there will be one full day of music on Saturday," said Hayko. The rest of the time there will be DJ music and more of a chill out environment, he explained. They have capped the limit at 1,000 people, with approximately 300 to 350 people staying on the site full-time. There are also TL 40 day-pass tickets available for people to come and enjoy the atmosphere for a day on Friday, Saturday and Sunday, May 20, 21 and 22, respectively. 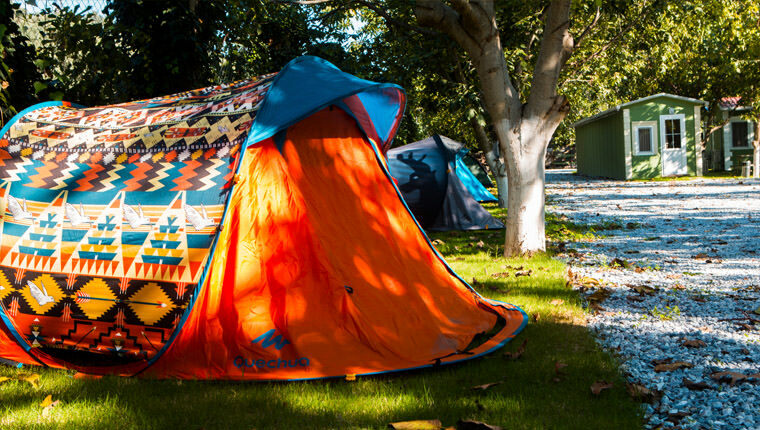 Although all of the bungalows and suites have long been booked, there are still a few options left or camping out on site in your own tent. The cost to camp out for the full three-day event is TL 185.